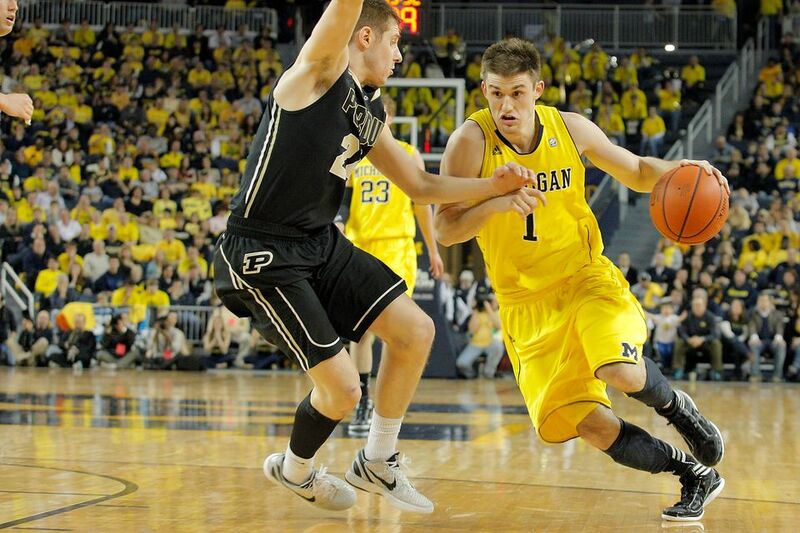 Posted on Fri, Jun 29, 2012 : 2:40 p.m.
Ex-Michigan basketball guard Stu Douglass has signed to play professionally in Spain. Stu Douglass' professional basketball career didn't continue Thursday during the NBA draft. But still, Douglass isn't done playing just yet. The former Michigan basketball guard and co-captain will play professionally next season in Pamplona, Spain, according to Michigan basketball's official Facebook page. After finishing his career with the Wolverines last season, Douglass then signed with the Scorers 1st Sportmanagement agency, a group that represents several American and international players. He'll play with Pamplona's "Basket Club Navarra." Douglass was realistic about his future prospects last spring, saying his goal was to work as hard as he could for a professional contract overseas, and go from there. So far, it seems that mission has been accomplished. Douglass finished his career as Michigan's all-time games played (136) leader. The Carmel, Ind. native averaged a career-best 7.5 points per game a year ago and was a career 34 percent 3-point shooter. Douglass' co-captain last season, Zack Novak, is also currently in the midst of figuring out where to further his professional career. Novak told the Detroit News recently that he's turned down an offer to play in Switzerland, and is still looking for the right fit. Sun, Jul 1, 2012 : 4:04 p.m. Think Stu would be a smart, grittly coach in the vein of Scott Skiles allthough a lot less blue collar. Not coaching in the pros for sure, but an Ivy Leage school such as Brown or Harvard. Sat, Jun 30, 2012 : 11:30 p.m.
stu is a 'coach' waiting to happen. hopefully he will learn a little about international basketball to add to his resume. Sat, Jun 30, 2012 : 8:20 p.m. This will be a good experience for Stu either way. Plus a great way to see Europe and learn some Spanish! Realistically, he doesn't have much of a chance to play professionally in the U.S. but you never know. Good luck Stu! Sat, Jun 30, 2012 : 2:48 p.m. Sat, Jun 30, 2012 : 6:27 a.m.
Novack turned down an offer from Switzerland? I thought he'd do well in business.